Digital was the main driver for this campaign. 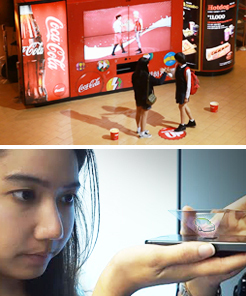 From microsite to a magical hologram to SNS viral, Dove To Rabbit Asia delivered a winner! Highly praised as one of the most successful viral video campaigns in Thailand, the video was loved and shared so much, resulting in winning 2015 YouTube Ads Leaderboard. 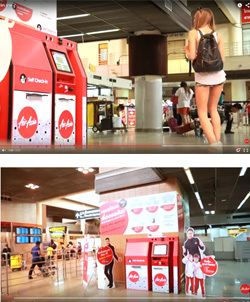 Bangkok, May 26, 2015: Air Asia Self Check-in video has come in as one of the most watched videos in 2015 YouTube Ads Leaderboard. YouTube Thailand revealed the top 10 most watched videos during their event at GMM Live House at Central World, yesterday. 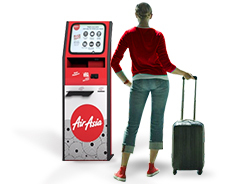 The Air Asia Self Check-in viral campaign was designed to raise awareness of the self check-in and its benefits and the usage. "We built an engaging machine using a motion sensing technology and successfully captured the people having fun with it", said Sean Choi, the Managing Director of Dove To Rabbit Asia. "Being listed in the top videos is even more incredible if you consider all the views were organic views with no paid views". Online marketing journal MarketingOops.com praised the video by mentioning, "What is the most interesting is...the video was able to make the audience feel sentimental and emotionally involved with the story told with the Air Asia's modern self-check-in system at the airport". Dove To Rabbit’s business area covers the whole spectrum of digital marketing including consulting, strategy, planning, creative, content and digital technology for online, mobile, SNS, viral video and on-ground digital interactive. 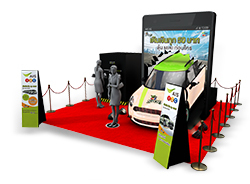 It also offers event management service that can enhance the user experience even further. 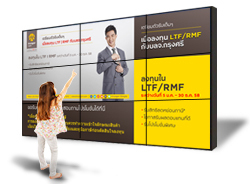 Highly specialized in digital interactive features such as motion sensing, multi touch screen, transparent display, 3D mapping and other types of unique digital displays, Dove To Rabbit is the leading digital marketing company in Korea. It also provides interactive marketing/media platforms, where consumers get marketing messages while enjoying the captivating features. Another area that is emerging fast is digital interactive setup for the retail/service shops. With the help of digital interactive display, consumers and shoppers receive product information and brand messages in engaging way.